Mike Ullery | Daily Call This shivering Frosty the Snowman on North Street in Piqua seems to have nailed the prediction for our weather forecast in coming days! This shivering Frosty the Snowman on North Street in Piqua seems to have nailed the prediction for our weather forecast in coming days! 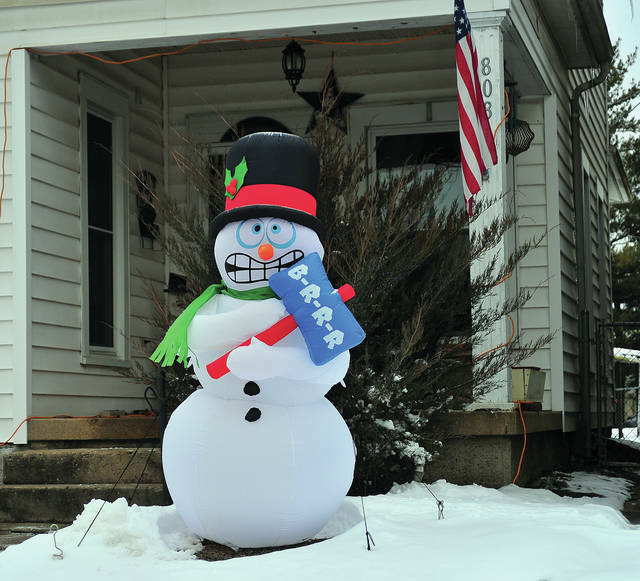 https://www.dailycall.com/wp-content/uploads/sites/30/2019/01/web1_011519mju_shiveringfrosty.jpgMike Ullery | Daily Call This shivering Frosty the Snowman on North Street in Piqua seems to have nailed the prediction for our weather forecast in coming days!